Every time I do one of these posts I have a hard time believing it’s already the next month. So today is no exception. WOW. It’s MARCH of 2014. Can you believe that? Something that really makes me happy is the fact that I’ve had a few guest posts in the past month, and they’ve all gone over very well – well enough to have a couple of them listed here in the top five posts for the month! Lots of folks refuse to even read a guest post when they see that it IS a guest post, and I’m so thankful that this audience is not like this, and that you’ve enjoyed the guest posts as much as I have! So, without further ado, here are the top five posts of February! 1. NestFresh Eggs Giveaway – Of course, this giveaway is over now, but this is a fantastic brand, and I was thrilled to participate in this one! And just because the giveaway is over doesn’t mean you can’t still find NestFresh in your local groceries store! 2. The Top 10 Easy & Low-Cost Add-Ons for a Perfect Patio – Our fence around our backyard is actually being installed TODAY, and I’m SO excited to be able to work on our patio without it being open for the entire neighborhood to see! Glad others were excited about this post, too! 3. 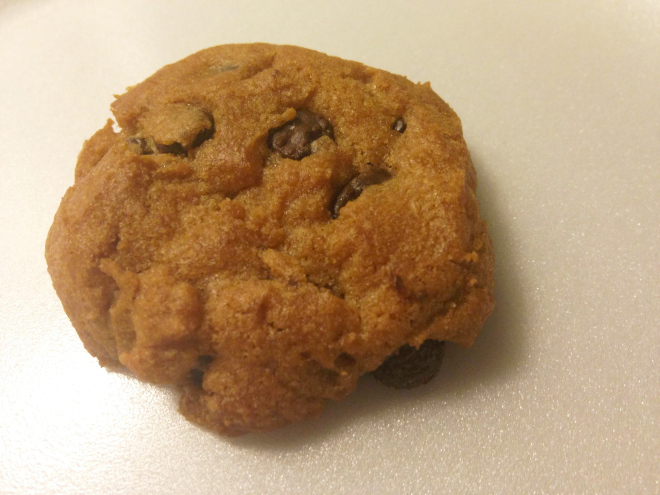 New Product Tryouts: Pillsbury Gluten-Free Cookie Dough – I sure do love trying out a new product, especially a gluten-free one! Yum! 4. 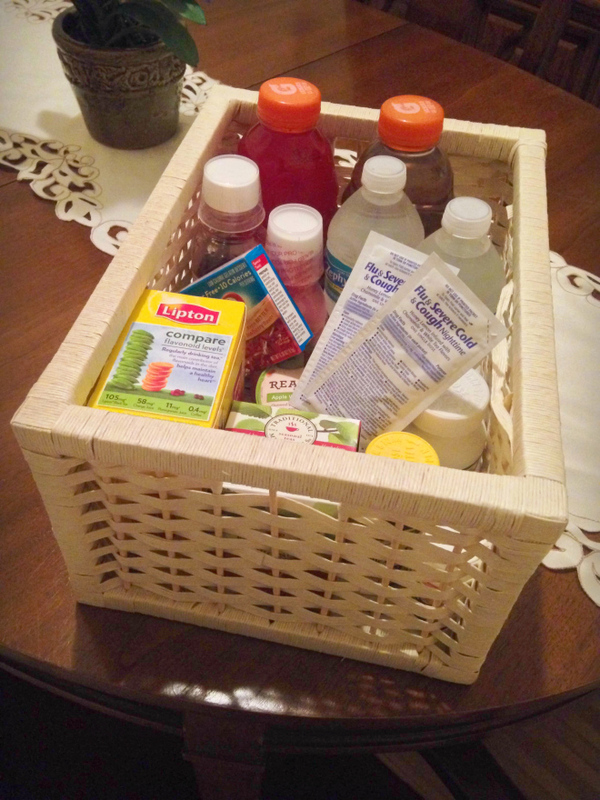 The Sick Box – This is the big one – if you didn’t see THIS POST, PLEASE take a look! It’ll save you some emergency trips to the store for sure! 5. 3 Tips for Garage Organization – Very close to my heart, that’s true! I’m a lover of organization, especially in the garage! And there you have it – those were the top five posts of February here on The Road to Domestication! Did you catch all of those? Any thoughts? Northern Whimsy Review & Giveaway! This entry was posted in DIY Project, Food, Gluten-Free, Health, Home Decor, Organization and tagged Eggs, garage organization, Giveaway, Gluten-Free Cookie Dough, Medication, Medicine, patio, Pillsbury. Bookmark the permalink. ← Securing the Perfect Statement Chair…with One Kings Lane! I somehow missed the garage one! I will definitely check it out! I love guest posts and I always read them! 🙂 I had to turn some down last month due to my surgery, but I’m guest posting (this week I believe is) for a girl in Australia that I’m super excited about. I love how you sum up your top posts each month. Oh, how fun, an INTERNATIONAL guest post! wow wish my garage looked like this .I love the play area you have created too. Great posts. Come rescue my garage!! Thanks for sharing! Loved the teepee! I could just hide away in it all day and write! The NestFresh giveaway turned out great. I appreciate you participating and helping to make it great 🙂 February went by waaaayy to fast!! Wohoo! And yes, this year seems to be flying already! I want a Tipi ! That is awesome! Wow! February did go by really fast! You had a ton of great information! Thank you! I loved your sick box idea. I actually picked up a few things to keep in our medicine closet because of it! You rocked February, now I can’t wait to see what you have up your sleeve for March! You just gave me a great idea for our garage for storage. I would love it to look as neat and clean as yours. Oh goodness! You can do it!!! Love this collection. I love natural eggs. That teepee is to DIE for and I do need to get more organized. Awesome collection! So glad you liked it, Diane! 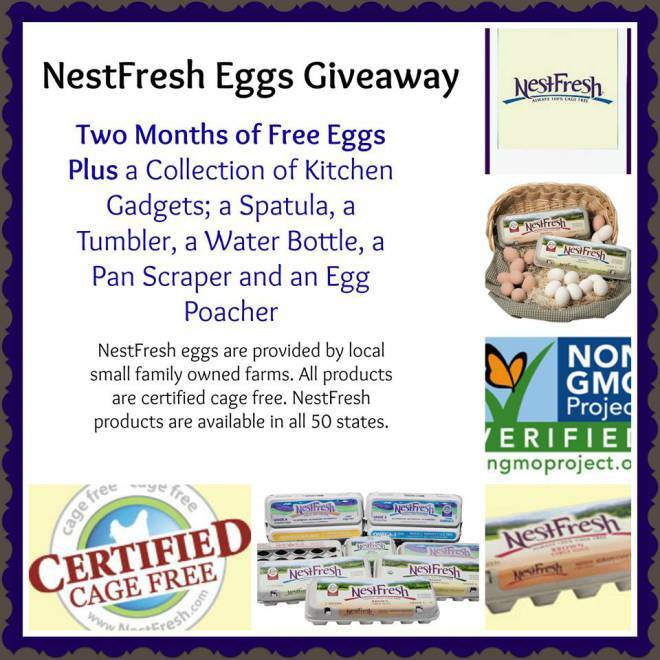 I love the nest fresh eggs giveaway. Unfortunately I do not “pin” (gasp)–That teepee would make anyone happy -child or adult. At the moment I could really use a sick box-achoo!! Oh my goodness LOL I think you are one of the only ladies I know who don’t pin! I’m intrigued! I definitely remember three of them. There were some helpful tips in those posts! I’m glad you thought so, Liz! These posts are awesome! I love the NestFresh Eggs Giveaway, The Top 10 Easy & Low-Cost Add-Ons for a Perfect Patio and Sick Box. With spring just around the corner (I hope) I am starting to plan our outdoor sitting area too. I loved your post about the sick box – that’s such a smart idea. I think I missed the garage one, going to check that out now. Glad you found something useful, Emily! Well, we had a small patio when we lived in an apartment! I loved sitting out there and looking at the stars at night! Gahh, that cookie is somethign I want, lol! I love that teepee. 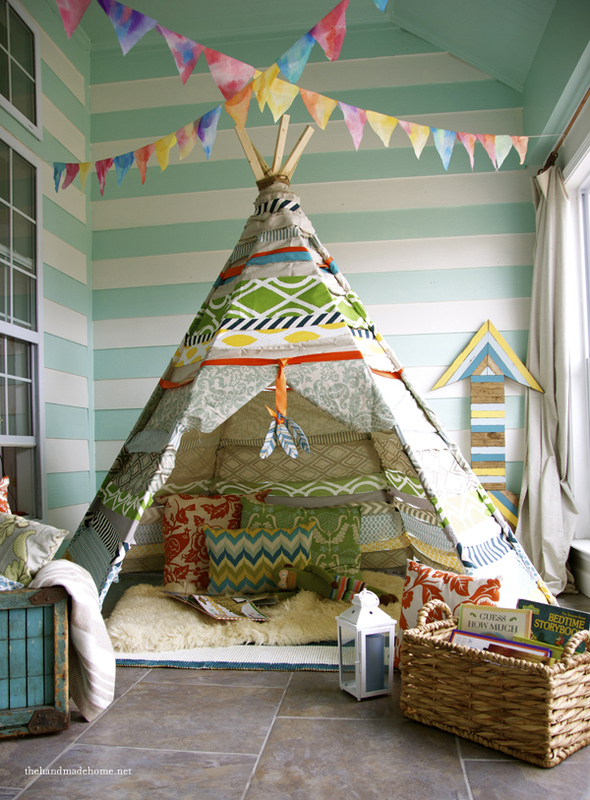 My son’s room is done in American Indian theme, but he doesn’t have a teepee and I always think he should. He’s got the room for it and it would look so cute (and be a fun place to read or play). I think it would be a fantastic addition! I can’t believe it’s March, either. Or that it’s 2014! You had a great month of Feb. Congrats! I know, it’s just all pure craziness! These are great posts that you shared with us! I love that tepee post. very nice! I know, I feel so far behind LOL If only we didn’t have to sleep, right?! Oh my goodness! So many awesome posts to look back on for February! I know what I’ll be doing for the next hour or so! I love that teepee, holy cow I want to crawl in there and read for days. Hopefully someone to bring me food and drink will be there as well. What great posts! I need to work on that garage organization a bit more. What great help for people like me! What a great blog post theme. Your sick box one is my favorite! Wow, if my garage looked like that….awesome! Ah – what a beautiful tee-pee hide-away. Looks like a great place to curl up with a book in the shade. Love the garage organization too! My daughter has been begging me to get Pillsbury gluten free cookie dough for her. I just can’t seem to find it around here! Oh dear 🙁 I hope it comes to a store near you soon! The months do go fast especially February, I am always good for getting out of winter! I did miss some of these due to traveling so much this past month…so I am catching up. My daughter loves that cookie dough, me not so much but it is nice that is makes her happy. Happy March! I need to check out the garage organization post. My husband has been using our garage for a warehouse for his business for the last 10 years but is getting rid of it. I’ve heard people actually park cars in garages! You made me LOL Lots of folks in our neighborhood use their garages for everything but their cars! We are just park-in-the-garage kind of people, I guess! I have a sick box just like that one and it has gotten us out of binds in the past. I caught the one about garage organization and I sent it to my husband. It inspired him to clean out our garage and have similar shelves built it and now we have a very organized garage. Really?! WOW! That makes me so happy!!! I wish my garage looked like that it really needs sorting out lol.I like the round up of posts and i will check each one out more. I would love my garage to look like this instead of a mess like it usually is. 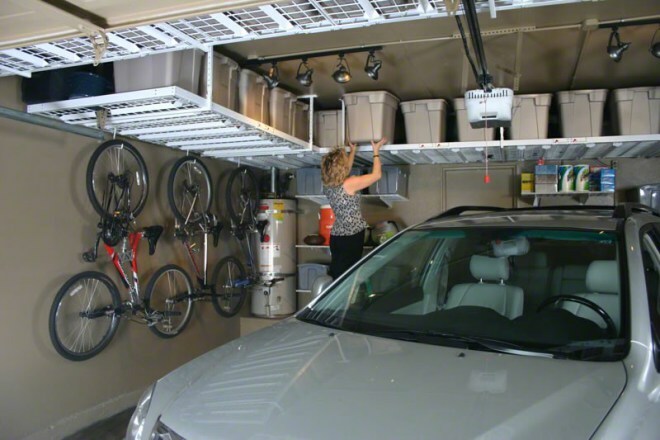 Thanks for the tips to get organized and showing how a garage can look! That TeePee is AWESOME! My garage looks like a tornado blew threw it. We clean and organize it every 3 months, and this month marks the third, lol. I know, it’s hard to keep it that way, isn’t it? I hope you enjoy perusing! That month went by way too fast. I love the sick box too, such a great idea. I need to put one together myself. It’s been really helpful for us! I love this post. Lord knows I need some organization ideas for our garage. I can’t wait to read that one!! I enjoy round up post it lets me know if I missed anything thank you. I missed the Pillsbury post. I had no idea they were making gluten free cookies. I need to check those out! I like the Garage organization post. My garage seriously needs some kind of organization. Thanks for all the guest posts. I love the overhead storage and the cookies. Both of those posts were big hits in my book. Great information and some great products. Awesome post! I love the Garage one, I need to use those tips for our basement! Oh yes, I bet they’d work well for a basement! Awesome posts for February! Looks like I missed the #2 post so heading over now to go check it out!! I have hanging shelves in my garage too – they are sanity savers! Great job in February. I missed the garage post somehow but I absolutely need to do that. The sick box is prob my favorite though! Yes, lots have liked the sick box – I’m glad that one was helpful! Holy cow your garage is ORGANIZED!!!! I’m so jealous! I will have to take some of your tips from that post and run with them! Oh your top five posts, I’ve got to say that the teepee on the patio is the best of all! I’d take that over an organized garage any day!